PWT’s specialty products are used in various industries where membrane filtration is used to treat potable, waste and process water. Our role is to help municipalities and companies by providing them with highly efficient specialty chemicals to optimize the life cycle of their membranes and systems. Minimizing fouling potential and the formation of scale, and cleaning membranes to maximize membrane life using NSF-approved products, helps municipalities provide high quality drinking water for their customers. Drinking water systems are designed using RO/MF/UF membranes for a variety of reasons, including reduction of total dissolved solids, specific contaminants (arsenic, nitrates, sodium), and organics. 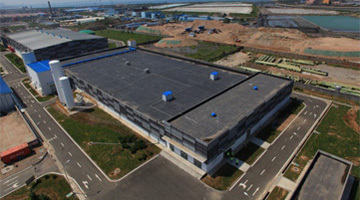 Membrane technology is also used to improve the color, taste and odor of drinking water. With more stringent treated water quality requirements, and ever-growing water resources, membranes will play an increasing role in supporting the delivery of clean, safe drinking water. One exciting application of membranes is direct and indirect reuse of water for drinking. Our antiscalant and cleaning chemicals designed for wastewater applications are proven to reduce scale formation, and effectively remove foulants during CIP, in some of the toughest environments. Throughout the world, availability of clean water is a growing concern. As freshwater resources are taxed to their limits, technology providers and operating entities are pursuing improved ways to apply membranes in the treatment of municipal wastewater for reuse applications. The levels of both organic and inorganic contaminants in wastewater differ significantly from feedwater that operators have grown used to treating. The increasing role of membranes in reuse applications brings greater demand for technologies, including chemistry, to reduce the potential for fouling and scaling. Effective selection and dosage of antiscalant chemistry and optimization of cleaning programs can lead to significant operating cost improvements within the facility. Huge amounts of water are required to operate oil and gas plants, and the industry as a whole is very aware of this, and focused on reducing the amount of water that is consumed. 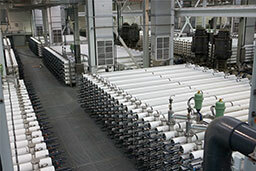 In this industry, membranes have been used primarily for treating water as make-up to boiler and cooling systems. 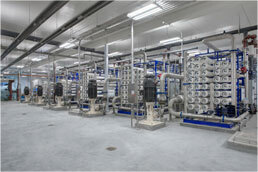 A number of projects recently have been installed to reuse water from various sources throughout the plant. 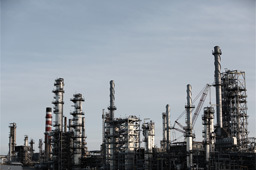 Because of the increasing focus on reuse within oil and gas, water chemistry has become more complex, requiring better system design, operations control, and antiscalant and cleaner formulations. Facilities that use membranes to treat well and surface water for make-up to boiler, cooling, and process applications can benefit from our wealth of hands-on service knowledge, and the proper application of chemical solutions for RO/NF and MF/UF. Electric utilities use water for a variety of processes, from fuel processing, to heating and cooling, and even environmental control (think coal dust minimization). 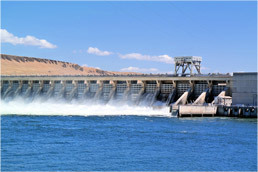 To support operations, power plants withdraw large volumes of raw water from surface and groundwater sources. While much of that water is used and returned to the water source, there is still quite a bit of water consumed in the process. The utility industry continuously seeks opportunities to reduce the amount of water they use, and membrane treatment has been widely used to support those efforts. High organic and dissolved solids concentrations in seawater desalination create a unique environment that can be optimized with the proper selection and application of pretreatment and cleaning chemicals. Seawater treated through Reverse Osmosis is used for industrial and drinking water around the world. Currently, approximately 1% of the world’s population receives water from desalination, and the United Nations expects that number to climb to 14% by 2025. 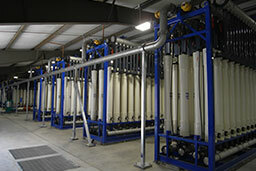 Reverse Osmosis is one of the key technologies that will support that growth. 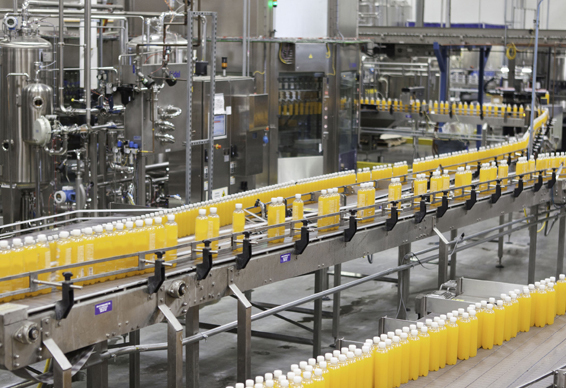 The purity of water used in Food & Beverage plants is critical, and our technical expertise and NSF-approved products can help you keep you water treatment system running smoothly. Within the food and beverage industry, water has always played an important role. As more and more facilities focus on water reuse, a new set of challenges is emerging. For example, many bottling plants are reusing their water in non-product applications like cooling towers, washdown, and landscaping. 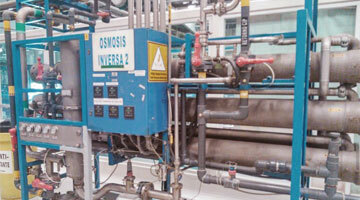 Reverse osmosis systems are a leading technology in treating water for reuse applications.